Spending too much on your phone service? You could maybe cut that bill down a bit, if you're willing to make a few sacrifices. How does free sound? FreedomPop, which previously started offering free mobile and home internet access, is expanding into phone service. For $0 per month, you can get 200 voice minutes, 500 texts, and 500MB of 3G/4G data. This is obviously not a plan for heavy data users, but 500 MB might be workable if you're on WiFi most of the day. Only 500 texts might also be a bit tight unless you rely on data-only IM services like Hangouts. FreedomPop also offers paid mobile phone services, so expect the up-sell. For $7.99 per month you get 500 voice minutes and unlimited texts, but data is still stuck at 500MB. A $10.99 monthly payment bumps it up to unlimited voice and text with 500MB of data. All the plans have data caps with no overages, but you can buy more on a pay-as-you-go basis for 2.5-cents per megabyte, which is a lot. Alternatively, FreedomPop will bump up the data to 1GB on any plan for an additional $9.99 per month. FredomPop is running this service on the Sprint network, just like its mobile broadband offering. Users get access to Sprint's EvDo 3G network, but the 4G FreedomPop is talking about is WiMAX, not LTE. There is only one smartphone available to the service as well, the HTC Evo Design 4G. It's not exactly top-of-the-line, but the price isn't bad at $99 with no contract. If you think you can deal with the usage limited, FreedomPop is taking orders now. Full PR below. LOS ANGELES, Oct. 1, 2013 /PRNewswire/ -- FreedomPop, the free wireless internet company, today on its one year anniversary launched its beta of the world's first completely free mobile service with free voice, text and data. The company will give users a guaranteed 500 MBs of data, 500 text messages, and 200 anytime voice minutes free every month for life. FreedomPop will also offer heavier users unlimited voice and unlimited texting for just $10.99 per month with no contracts or commitments – 80 to 90 percent less than similar plans offered by large carriers, saving consumers over $1,000 per year. "FreedomPop is changing the mobile market forever with the sole intent of bringing better value to consumers and increasing accessibility," said Stephen Stokols, FreedomPop's CEO and co-founder. "FreedomPop's mission is to ensure that everyone has access to affordable, convenient and essential communication services. With this launch, we've just taken our largest step to date towards delivering on this objective." 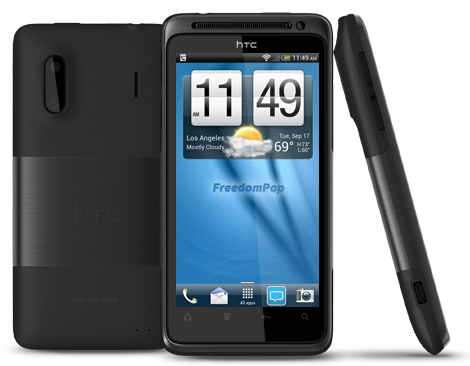 The FreedomPop Phone service will initially be available on the HTC Evo Design smartphone, which will sell for at a 65 percent discount for just $99. Later this year, additional popular Android handsets will be offered. "The historically staid mobile operator industry is not only ripe for disruption; it is being disrupted today by creative pricing and service delivery strategies," said Rich Karpinski, senior analyst with Yankee Group. "Combining more economical voice over IP-over-cellular technology with emerging freemium business models such as these provides choice for customers looking for mobile service alternatives while pressuring incumbent carriers to respond as well." The FreedomPop Phone comes a year after FreedomPop launched and took the mobile market by storm, offering free 4G over mobile hotspots. Led by outstanding consumer demand and organic growth, FreedomPop has demonstrated the commercial viability of its freemium model, while giving away more than half a billion free MBs of data to date. The company has also raised over $16 million in financing it is putting toward disruption of the $200 billion mobile phone service market where consumers currently pay over $1,500 per year on average. "A user paying $1,500 per year for mobile services today can save well over $1,000 per year for the same plan with FreedomPop," Stokols added. "That is real value, real savings and a real meteor to the current market dynamics." 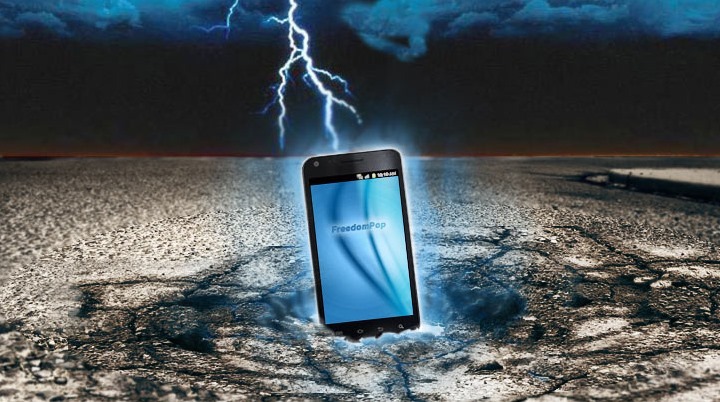 To sign up for access of FreedomPop's Phone now go to FreedomPop.com/phone.